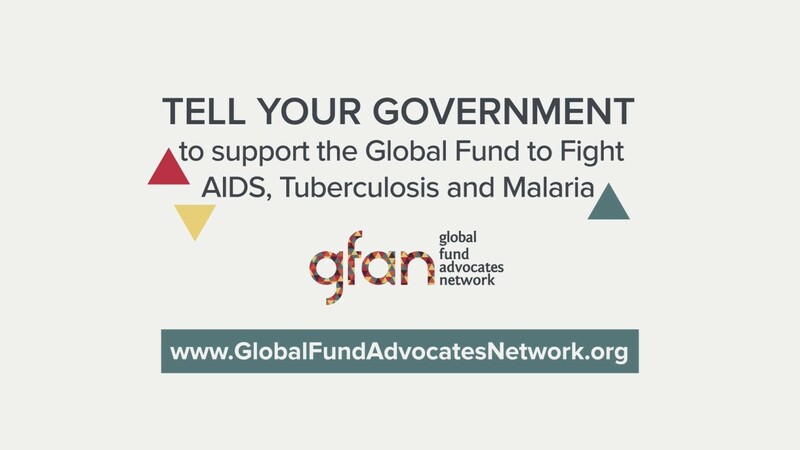 In January, GFAN asked its members to sign on to a petition to protest the Swedish government’s 35% cut to funding to the Global Fund to Fight AIDS, Tuberculosis and Malaria for 2016. With the strong response from members, Swedish advocates were able to use the letter to the Prime Minister as leverage for discussions, articles and op-eds in various national news outlets; it sparked weeks of debate between civil society and the government on the direction Sweden is heading in its support of global health. While the cuts have not been reinstated, there is hope for a strong return of Sweden to the Global Fund’s next replenishment. These events offer an inspiring case study for all Global Fund advocates when faced with governments who are backtracking or decreasing their commitments to fight the three diseases. Thanks to everyone who supported the letter! Below is an overview of events and outcomes prepared by RFSU and MSF Sweden; you can download Minister Lövin’s response to the GFAN letter’s signatories. Riksförbundet för Sexuell Upplysning/the Swedish Association for Sexuality Education (RFSU) discovered in mid-January that the Swedish Ministry of Foreign Affairs requested that the Swedish International Development Cooperation Agency (Sida) deduct SEK300 million from the Swedish contribution to the Global Fund to Fight AIDS, Tuberculosis and Malaria for 2016. Subsequently, RFSU’s Secretary General and MSF Sweden sent letters to the Swedish Minister for International Development Cooperation Isabella Lövin asking the Government to uphold its commitment to the Global Fund by restoring the SEK300 million and ensure an ambitious contribution by the Swedish government in the replenishment later this year. The Global Fund Advocates Network (GFAN) drafted and coordinated input for a public letter to the Prime Minister of Sweden, which was signed by 159 organisations and was published on Biståndsdebatten.se, a web-portal that collects all op-eds related to Swedish development cooperation and also publishes exclusive op-eds. RFSU contacted a journalist on Swedish Public Radio who subsequently ran three stories, one news flash on 12 February, a longer feature on 13 February during the two-hour political affairs special, Godmorgon, världen, which airs every Sunday, and a 20 minute show on the main Science programme the following week on 23 February. The newsflash “Organisations Criticise Sweden” was carried by three key newspapers in Sweden (Aftonbladet, Svenska Dagbladet, Sydsvenska Dagbladet), Dagens Industri (the main business paper), as well as at least 20 local papers around Sweden. Minister Lövin responded to the criticism with an op-ed, which in turn was answered by MSF Sweden as well as a series of researchers at Karolinska Insitutet and the think-tank Global Utmaning. The minister then published a second and final op-ed on the topic. The op-eds also sparked a debate on Twitter between the State Secretary for Development Cooperation Ulrika Modéer, members of parliament, RFSU and MSF Sweden. They had to consider the full health portfolio and prioritize. RFSU received a formal reply from Minster Lövin on 22 February to their letter with the same line of argument, adding that constructive dialogue on the replenishment has been initiated with the Global Fund. On 23 February, Mikaela Hildebrand, RFSU Senior Policy Adviser, participated in a seminar on Global Health and Swedish ODA, which gathered many of the key actors in the Swedish global community including the MFA and Sida. The cuts to the Global Fund were raised as well as the cuts – by almost a quarter – to the Strategy for social development between 2015 and 2016, which directs much of Sweden’s ODA for sexual and reproductive health and rights (SRHR), including to WHO and IPPF. Sweden’s critical leadership in global health, especially when it comes to gender equality, prevention, SRHR, abortion rights and LGBT-rights, was reiterated and encouraged. The following day, during the foreign policy debate in Parliament, Hans Linde (Left Party) posed a question related to the cuts to the Global Fund to the Green Party spokesperson for foreign policy, Valter Mutt. In reply, Mutt said the Greens wanted to re-instate the funding to the Global Fund as soon as possible. However, the assessment is that Mutt was unaware of the government line that this cut will stand and the government is now in close dialogue with the Global Fund related to the replenishment. RFSU followed up on Twitter with State Secretary Ulrika Modéer, but received no response. On 2 March, GFAN received a response to the petition from Minister Lövin. In it, the Minister addresses the petition’s concerns with much of the same argumentation that the Government has previously presented in its op-eds. It is clear that the Government was caught by surprise by the public outcry, and it is useful that the government had to reiterate several times its priority for global health. Many news sources have specifically mentioned the GFAN letter and the fact that so many organizations from around the world signed it: it added weight to the critique of the Government and supported the argumentation of both MSF Sweden and RFSU. The spring budget is now under negotiations and will be put before parliament on 13 April. At this point, it seems unlikely that the Swedish Government will reinstate the SEK300 million; however, the public debate has put pressure on the government to be ambitious with regards to the Swedish pledge in the replenishment later this year. RFSU and MSF Sweden will continue to monitor the situation, but for now additional public pressure may risk cornering the government and make the issue about prestige in their political prioritization. Swedish CSOs will have a meeting with Marijke Wijnroks, Global Fund Chief of Staff, in the coming weeks. Shaking off the complacency: is targeted, public campaigning a tool for GFAN to achieve a fully funded Global Fund?